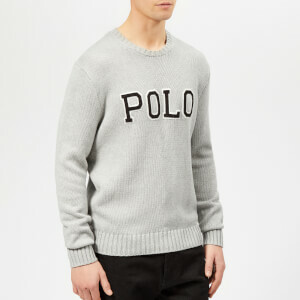 Men’s grey knitted jumper from Parisian fashion house, KENZO. 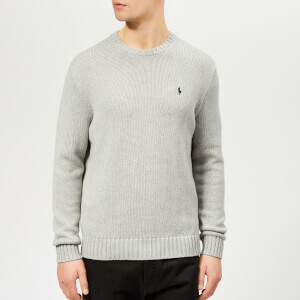 Crafted from a knitted wool blend, the sweater is detailed with a small KENZO tiger logo embroidered on the left chest, contrasting blue tipping and a contrasting ribbed underlayer around the hem. 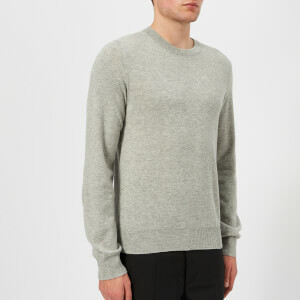 Complete with side slits and a ribbed crew neck, hem and cuffs.